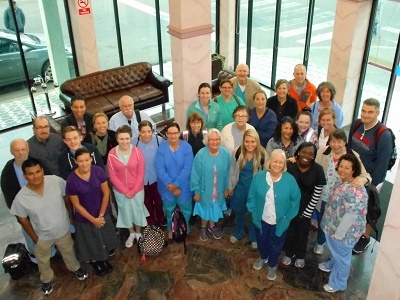 Surgery team #27 arrived at the Santa Cruz hospital on September 3rd, 2016 to prepare for a week of free surgeries to patients from all over Bolivia. A total of 62 patients received life-changing surgeries, with some patients having two or three different procedures done at the same time! Surgeons removed gallstones, repaired hernias, performed hysterectomies and pelvic floor repairs, and removed ovarian cysts. Patients who had suffered for years with their problems went home with new hope! Rosita, 6 years old, stole everyone’s heart! 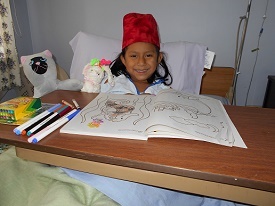 She is pictured here with her new crayons and coloring book right after hernia surgery. 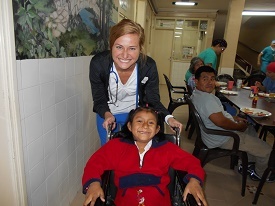 Following a very quick recovery from the surgery, Rosita is discharged and takes a wheelchair ride with her nurse, Morgan. 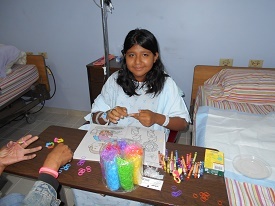 Eva, 12 years old, enjoys working on crafts as she recuperates from her hernia surgery. Roommates Dayana, 27 years old (left), and Gabriela, 29 years old (right) find they have a lot in common following gall bladder surgery. 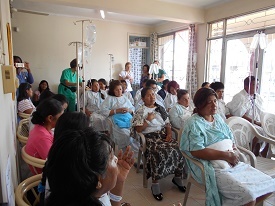 Cinthia, 48 years old, is a single mom who suffered with the pain of gallstones for 5 years. Pictured here, she is all smiles and pain free! 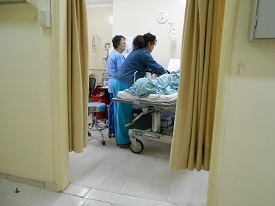 Looking into the recovery room, Sonia (right) comforts a patient as she speaks to her in Spanish while nurse Carolynn (left) looks on. 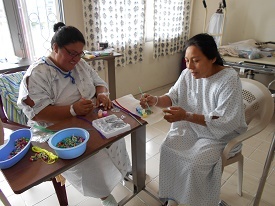 Ana Maria (left) enjoys painting suncatchers with a new friend while she recuperates from two gynecology surgeries. 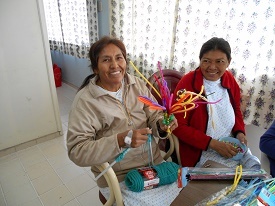 Febe, 55 years old (left) shows off a bouquet crafted from pipe cleaners while Nely, 41 years old (right), looks on. They are both so happy to be free from the pain of gallstones! 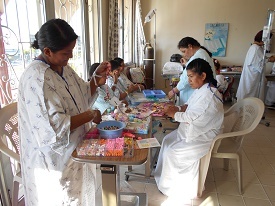 Patients spend hours at the crafts tables. They enjoy them so much that it is hard to believe they have just had major surgery! 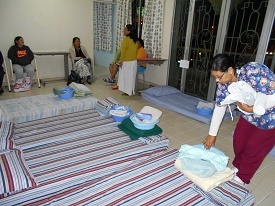 Sometimes we run out of beds, but the patients do not complain! They are so happy to be selected for surgery that they are happy to sleep on a mattress on the floor the night before their surgery. It is like a big slumber party! All of these patients will have real beds when they come out of surgery because many patients will be discharged the next morning. 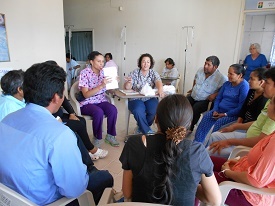 Ivonne (left center holding papers) gives discharge instructions to patients and their family members as nurse Tricia (right center) looks on. A time of praise and worship for the patients…A time to give thanks to God for all that He has done through Mission of Hope.